Brand recognition is one of the most important aspects of your company’s marketing strategy because if you lack it then how are you going to gain profits and develop your business? You might think that reaching a high level of recognition might be an expensive process, especially if you have a low budget, but there are always alternative and affordable ways. One of these ways is SMS marketing which has become a huge trend among businesses in recent years as it offers speed, affordability and high effectiveness. What else would your business need for reaching brand recognition if not text messaging? Via SMS marketing you can reach your customers knowing that this marketing strategy comes with high deliverability and unmatched open rates. The experience with bulk SMS marketing has shown that nearly 98% of all text messages are opened and 95% are read within the first 3 minutes. This can lead to really good results in generating brand recognition. Here’s why brand awareness matters: brand recognition indicates the level of familiarity of your target audience with your business. If your brand is well-known, it means that you are building trust. Consumers usually choose the brands which are the most recognized and have the highest amount of positive reviews. Besides, with brand recognition, you will be able to establish brand equity. Brand equity is your brand’s value which is built via the experiences of your customers. Positive experiences result in positive brand equity. The latter can lead to your products prices increase as they will be perceived as highly valuable. You will also be able to expand your business and why not, have enough power for social impact. If you promote your business successfully and build brand awareness, you will be able to put the foundations of positive brand equity. Research your target audience thoroughly in order to understand who your customers are and to whom your product is directed to - the exact age group, maybe location, other demographic data, etc. You don’t want to annoy your potential customers all the time with text messaging. The messages they receive from you must be relevant and important to them and their needs. If that’s not the case, the probability that you will have many unsatisfied customers who want to leave or unsubscribe from getting your text messages will increase highly. This is why knowing your customers is of crucial importance. You can use a CRM app in order to measure the success of your text messaging campaigns. Even when knowing your exact target audience, you shouldn’t send all your text messaging campaigns to all of them every time. This can be done in case of bulk messages for general sales and promotions that are beneficial for all your customers. When it comes to specific messages, make sure you are sending the right messages to the right customers. E.g., if you have produced something aimed to be consumed by people over 40, you don’t want to annoy your younger customers by notifying them about the promotions related to that specific product. Easy as that! Value Proposition: Offer a positive value proposition that you are sure will be helpful for your customers. Ensure that they can clearly understand what your brand offers otherwise, your text messaging campaigns will have no value. Well-Thought Mobile Engagement: Use data-driven automation solutions and increase your budget efficiency by getting rid of all hard bounces, invalid numbers, and duplicates. Be Concise and On-Time: Your content should attract the customer at first sight. Be sure to stick to the point right away. Test the content and the timing of your delivery in order to optimize and improve them. The messages should be sent during the time of the day when your customers are most likely to open and read them (e.g., Mondays have a low response rate). Don’t miss the holidays, such as Black Friday, Valentine’s Day, Christmas, etc. People look for special offers and promotions during these days which can be a real catch for your brand recognition. Before inserting a link into your text message, be sure that your website is mobile-friendly. Make the opting out process as easy as possible. It’s normal for some people to leave you, besides, you don’t want to spend money on those customers from whom you won’t get feedback. Your sender ID can be one of the best tricks for attracting your customers. Be creative and don’t be afraid to use humor when you feel it will be relevant to the context. Holidays are a good reason to be especially creative with your ID. Personalize your text messaging. Include each customer’s name in the text messages and approach them individually to make them feel special. Have expiration dates for your offers and promotions. Seeing that a special offer is not going to last forever, customers will be driven to make a purchase from you. Keep track of your results, of the number of customers who opt in or opt out and analyzing all of this choose the campaigns that worked the best. Be consistent and have a certain messaging plan. Send the text messages according to this plan, e.g., every week, month, etc. Correct spelling is a must. Even a single spelling mistake can draw a customer back and reduce trust. Correctness refers not only to the spelling but also the data you include in your message. Be concise and accurate. Use mass texting effectively - if you have published your upcoming promotions on your website, be sure to keep your customers informed about them via text messaging as well. Don’t miss out on anything. Develop a blog on your website where you talk about all the possible aspects of your brand, business and products or services in different blog posts. Keep people informed about everything related to your field and be the main source of information in your sphere so as to drive more traffic. Use this information in text messages, insert relevant links and build trust among your customers. This is another way of showing that you are taking your work seriously and that you do care about your customers. In the end, what’s the main aim of all your text messaging campaigns if not getting customers to make a purchase from you and leave positive feedback? 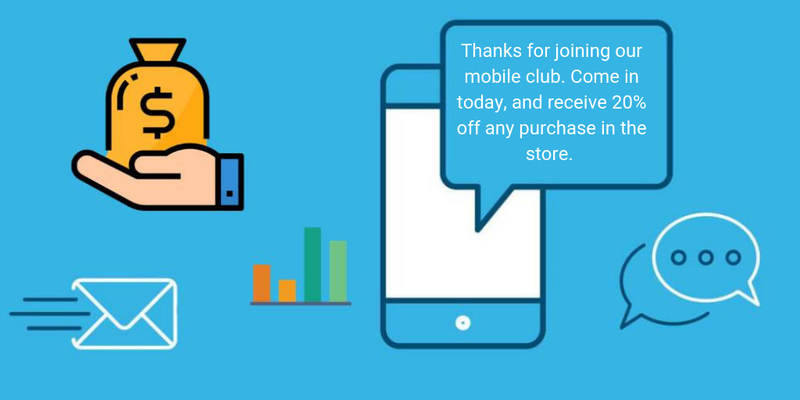 For example, with texting automation and an automated survey right after the customer has made a purchase, the likelihood that a customer will come up with a response is quite high. Besides, sending surveys via text messages makes things much easier for customers. All it takes them is just a one-word quick answer or a 1-10 rating. Feedback from customers hugely affects your brand recognition as it forms a reputation for your brand and attracts new customers. The main way to get positive feedback from your audience is quite simple - provide them with high-standard products and do right SMS marketing. Use SMS marketing correctly by carrying out highly productive text messaging campaigns and enhance your brand recognition by following our quick tips. Making your brand’s name known is possible, you just need to take the right marketing actions! Customers satisfaction rate is the most important success criteria for all businesses because any business would cease to exist if it fails to satisfy its customers. 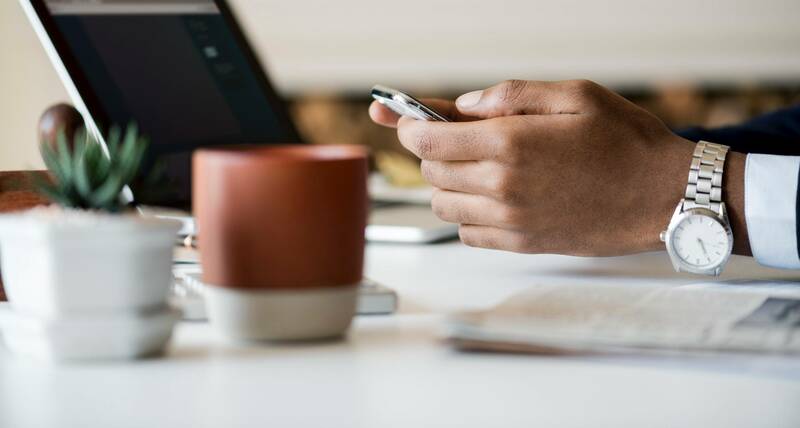 Text marketing is a great way to spice up your marketing efforts and create more effective ways to connect to your audience. You can increase customer loyalty and retain your clients using texting campaigns. There are common text messaging tips following which you will increase the effectiveness of your text message services. Keep reading to learn about the top 5 of the most common text marketing tips.